The North Forty is a beautiful, refurbished farmhouse on three wooded acres in Fayetteville, Arkansas. The town has grown up to meet us, so we're convenient to major roads, yet quiet and peaceful. 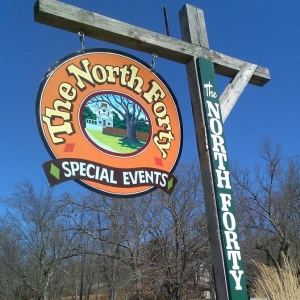 Arkansas Bride magazine and blog articles featuring The North Forty.